It seems like “I’m Too Busy” has become the new motto of many. But getting caught in the “I’m Too…” excuses can be self-sabotage in disguise! Business is Not Stolen it is Earned. 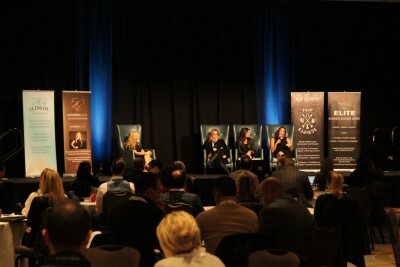 Kathleen Black Coaching & Consulting, hosting the second annual Ultimate Team Summit , had the immense privilege of having three powerhouse leaders in the real estate profession on stage to share some of their story. They were asked about their definition of success, their perspective on balance, and what is next for people who seem to have achieved it all. 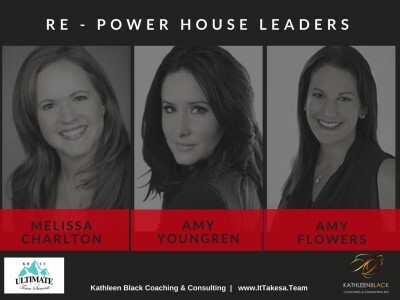 Melissa Charlton, CEO of The Charlton Advantage Team in Milton, Top 1% for Royal LePage Nationally in Canada 2017, Amy Youngren, Founder of North Group, based in Toronto and servicing the Golden Horseshoe from Durham to the Niagara Region, Top 10 Team Keller Williams Canada 2017, and Amy Flowers, Team Leader of The Amy Flowers Team in Milton, Top 15 overall for Royal LePage Canada in 2017, sat next to each other as the panel of women changing the way real estate is done. Kathleen Black moderated the discussion with these powerful leaders. They are not just business moguls, but mothers, aunts, friends, leaders, and forces to be reckoned with. The first question presented to the entrepreneurs was to define what success is to them, personally. Oxford dictionary defines it as “the accomplishment of an aim or purpose,” which, is largely seen as owning the biggest house, driving the flashiest car, or having the newest toys. In this question, what sets these leaders apart, is their ability to see success as something that lines up with their values. Amy Flowers credits understanding her values with many of her achievements. She looks at success as empowering her team to succeed; if they aim to spend more time with their family, and they do – that is success. Melissa Charlton knows her success is from “failing forward,” because it means to her, that she didn’t let her fear stand in the way of taking a chance. She actually noted that her success was also her biggest obstacle. Her comfort zone was the barrier to her team’s now-record business success, because she was afraid to take any big chances for fear of failure. When success is based on moving beyond fear, then taking those chances is a success in and of itself. She’s able to be assertive in the positive outcome of her endeavours, because she knows she’s able to accomplish anything she sets her mind to. On a different path, Amy Youngren feels success as a responsibility to always be better tomorrow than she was today. She knows authenticity leads to your best self, and she jokes about her Crown of Failure that she “wears” around the office. Each of the many “jewels” in the crown represent a failure, and each failure is a growth, and each growth a success. Speaking to their success lends to the question of how they find balance. By anyone’s definition of success, these innovators are indeed successful, but at what do you give up? Amy Flowers is nonchalant in truly being able to have it all, there is nothing to give up. Melissa Charlton is in agreement, and so is Amy Youngren, chiming is with, “Do what you do best, and delegate the rest.” What’s their secret, and what does that mean? Leveraging. That’s what it is. In business, no one would take over the Social Media aspect if their first step is creating a Facebook account, instead you would hire a social media guru and leverage that skill. If that’s the rule of best practice in business, why would it be any different in personal life? Amy Flowers reasons, if you can pay someone $10 to cut your grass for 30 minutes, you are paying $10 for 30 minutes with your kids, that makes sense. Amy Youngren follows the thought with knowing what you, personally, are worth hourly. Now with that number, would you pay yourself that amount to get the dry cleaning? Probably not. Leverage. Though women are still expected to do it all, that’s a mindset and it doesn’t have to be. Melissa Charlton is self-proclaimed “crap” at laundry, but her live-in nanny is not, so she leverages that skill and instead, handles business, which she’s truly very good at. Leveraging, is balance for all three of them. How do you know what to leverage, and what to do yourself? It comes down to “why”. You find your “why” through your priorities, and your priorities through your values. Balancing your values, and knowing your “why”, what’s next for these three Powerhouse leaders? No stranger to taking chances, Melissa Charlton knows her team’s next steps are to double the team, double the business, and keep pushing forward. Amy Youngren who recently had a shakeup from her business partner was presented the chance to hit ‘reset’ and is now ready to move forward with unparalleled clarity to create a platform of amazing experience for her agents to pass along to their clients. Amy Flowers is confident in her vision to aligning all of the departments on her team to complete the circle of seamless performance. For now, that will satisfy her drive. For a little while. Then she will be ready to crush the next obstacle as she moves forward with her team. Resetting the standards for the real estate industry is just in a day’s work for these well-articulated business moguls. 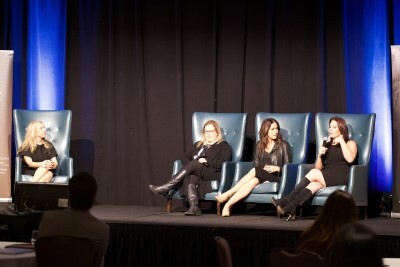 They are redefining success, their roles as women, and their place in leading the way in business. Kathleen Black Coaching & Consulting, along with the rest of the industry, is celebrating the goals these inspiring leaders continue to exceed in 2018.